After defeating the evil Dr. Wily numerous times, the robotic hero Mega Man is called into action once again when a powerful being known as King defeats Protoman and threatens humanity. Knowing the threat, Mega Man’s rival, Bass, decides to take care of everything with his own hands. The game is of the action-platform genre where the player advances by defeating bosses and acquiring their characteristic weapons. 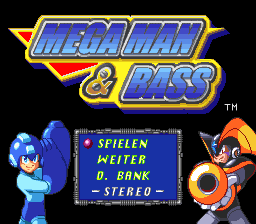 MEGAMAN & BASS lets the player choose between the titular characters, each playing different from the other. 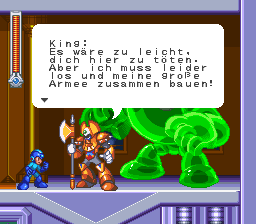 Full German translation of Rockman & Forte. 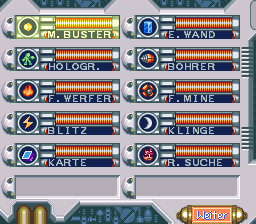 Some graphics were hacked, as well as special characters were added to the game. Readme file is included in the archive.